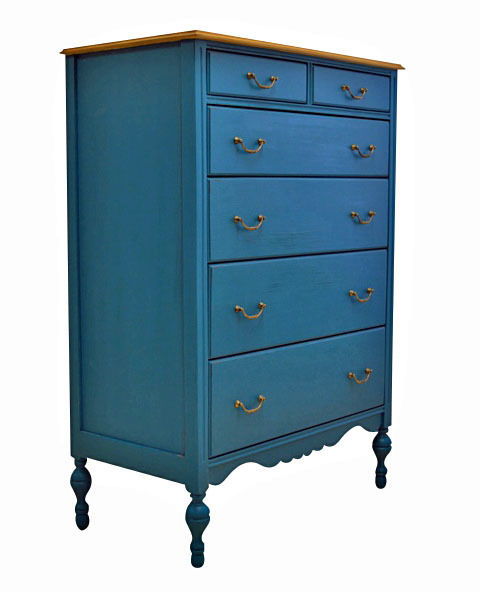 Eloise Tall Dresser offers six drawers, turned legs, a scalloped apron and vintage brass hardware. Shown here in Teal with English Pine Top with Vintage Brass Single Bead Pulls. Measures: 38" x 20" x 53"H.